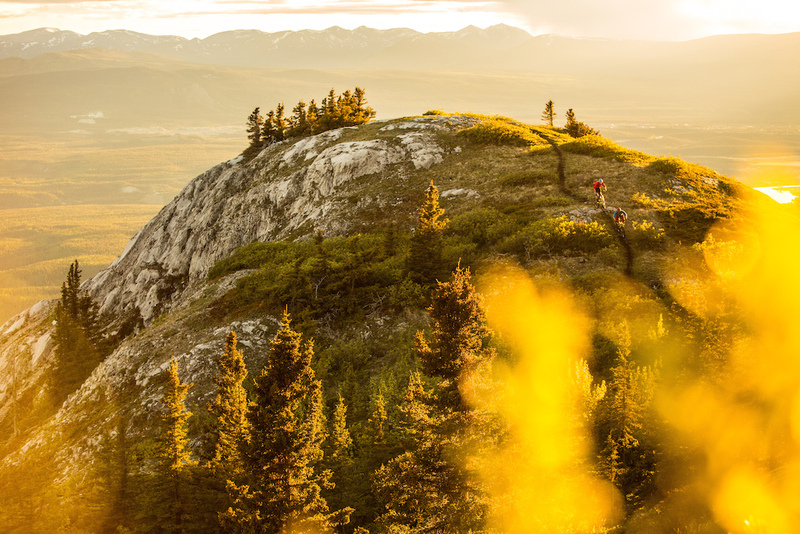 Selected by Matt Wragg - This photo makes me want to pack my bags and head for the Yukon now. It's pretty much a perfect golden hour shot in what looks like an utterly stunning location. I particularly like the little piece of foreground in the bottom right, turned gold by the low sun, which helps makes the shot feel even warmer and nicer. Amazing picture! I may use my first nomination for POY 2014 on this beast. Thanks! Your nomination would be very appreciated! Do it! Tim is rad, takes killer photos... This is definitely a POY shot. Well done, buddy! They're biking down the wrong side! Love the Yukon! And for reasons like this! It's just beyond gorgeous! Sick pic!!!! I like this shot because of the colors. But this whole "far away" thing is getting way to crazy... 3 years ago, i saw shots taken where the rider is small and the scenery big... I like those. But there is a point where the rider gets out of the focus of the viewer. As soon as it changes from an action shot to a landscape shot, it's too much for me. Beauty shot. Where is it? I love st but agree with plasmaninja, biking down wrong side...sweet slabs! As a rider on his first day of a trip with Boreale in Whitehorse this morning, this gets me totally stoked! Great shot. Now THIS is a POD, well deserved. POY agree! This is a freakly looking photo!